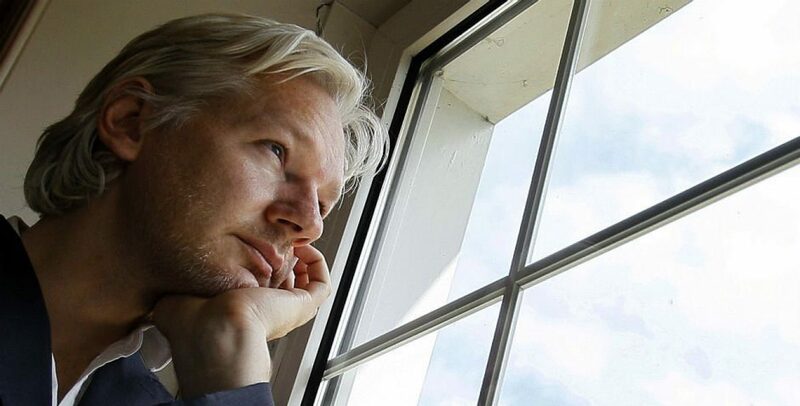 I will continue my support of Julian Assange and Wikileaks regardless to the current allegations that I am not a supporter but simply a troll. It doesn’t matter if you hate me or not, my heart is not changed by other’s direct targeting. Divide and Conquer is the psyops used by the US government to destroy Wikileaks support. I will not fall victim to this style of childish hatred and mayhem. Julian Assange and Wikileaks has my utmost respect due to the fact they tell the truth. They are my heroes and are the people I look up to. Very few people have my total respect let alone my sincere devotion and backing. Christmas is coming and I would hope that peace on earth will prevail amongst all of us. If this cannot then so be it. I can only control my own behavior and no one else’s attitudes or feelings. Currently, we need to support Julian all the more as his 7 year detainment anniversary is right around the corner. Why is this man not free yet? Why does the US government continue to harass and seek his arrest? This man is a publisher and editor nothing else. He is no different than the editor of any national newspaper except that the CIA wants to bring his organization down for exposing the truth. But there is no such thing as a perfect world. People hate, they envy, they backstab and they murder one another. Crime is everywhere and so is war. People die every day from lack of food while others eat until they are obese. People go without healthcare, proper medications. Diseases run rampant. People do not have clean water or shelter. Our governments are corrupt and criminal and lie to us. Some of you may know the story about WBAI and it’s issues at the Empire State building, but you haven’t heard the story of their censoring their own broadcasters and getting rid of those they don’t like. It truly makes you question when they fired him in October what their true motives were. Were they based on Randy covering so much of WikiLeaks? Interviewing Julian Assange’s mom? Did Deep State pressure the radio station or are they just creeps? Many of us listened to his radio commentary “On the Fly” and enjoyed it. Randy has a way of putting things that other radio show hosts don’t, so why fire him? It started with moving Reverend Billy’s time slot. He was well known to be on at Thursday at 5 pm and they decided to move him to Sunday at 8 am. Billy didn’t want to be moved so they let him go. Randy stood up for him. There is conflict with Tony Bates the Interim PD and most of the WBAI employees. Not to mention current management didn’t even have the decency to attend a memorial for a long time employee, Therese Choron, who died at age 55 of cervical cancer. What kind of decent radio station ignores such a travesty? I would most certainly like to point out as fan that Randy has done more than just be a radio personality and show host but has ran for public office as well as spoke, (or maybe the term yelled would be more accurate), for the reform of the injustices of the United States’ current imprisonment policies. He basically single-handedly took it upon himself to see these laws changed. He was also a star on the comedy circuit and even appeared on “The Tonight Show: Starring Johnny Carson.” This man is no stranger to standing up for what is right. However, it seems anyone who affiliates with WikiLeaks and Julian Assange is brought down quickly and I do believe this is part of the reason WBAI did what it did other than just being a terrible radio station who does not value its employees. Take a look at other associates of WL and its publisher. Allies such as Caitlin Johnstone, and Trevor Fitzgibbon. Even I have been targeted and attacked for my support of WikiLeaks. By systematically targeting allies and supporters, the US government is hoping to shut down the voice of truth. However, people like myself and Randy Credico will not be silenced so easily. Support Randy and other supporters. Follow Randy on Twitter @Credico2016. Follow me @ Smokes_Angel Support those of us who give a damn about the truth and will not be sillenced with fear tactics! Let’s start with the latest smear out there about Julian colluding with Donald Trump Jr. before the election. This is nothing but a smear campaign against Trump as well as Julian. Haven’t people ever heard of fake news before? The only time Julian reached out to Donald Trump Jr was here and this was well after the election. If you have any questions regarding any smear campaigns and if the articles are true please feel free to contact me at angelfoxmedia@gmail.com I will be happy to answer your questions. Thank you. In a true democracy, it is illegal to jail a political opponent. Spain has chosen to show it’s lack of democracy by imprisoning those who have called for a referendum to free Catalonia. These political prisoners did nothing but ask for the Catalan people’s right to choose. In response, Spain issued warrants for the top government officials to be arrested. Is it right to arrest a political opponent for sedition? Absolutely not. The people of Catalonia voted on October 1st of this year for their independence against all odds. The police of Spain violently tried to stop the vote and hijacked many of the ballots. Even with the incredible brutality of the Spanish state against the Catalan people (mostly elderly people), they still succeeded in casting their votes and their President declared independence recently. In response to their declaration of independence the Spanish officials have jailed to following political prisoners. Many Spanish have declared their independence referendum illegal, but let’s put this in perspective. Let’s go back to 1776, when the United States declared independence from England. The forefathers felt that the English government was tyrannical and unfair just like Catalonia feels now. Imagine if people like George Washington and John Hancock had been arrested without a proper trial and held indefinitely. This is what Spain is doing now. The difference is that the Catalan people have attempted to do this peacefully without war. What is taking place in return is that the people of Catalonia are holding rallies against this is injustice. It will be interesting to see the response. They are still declaring Puigdemont their official president and the self-determination of the people is still clear. They want to be free of the fascist Spanish government. The Catalans are a peaceful people who want to be respected in the international community as a nation. The EU has shown it’s support of fascism and tyranny by siding with Spain. Please take the time to show your support for the wonderful people of Catalonia by writing your leaders backing their independence. This could be you. Recently, a campaign has started smearing Julian Assange and Wikileaks accusing them of doctoring the Podesta and DNC emails. This is untrue. I am here to explain to you why and how they verify their sources as well as the documentation themselves. Whenever the truth comes out about political parties they resort to trying to discredit sources that exposed their corruption. This is what the MSM is currently doing to Wikileaks. Once again, I repeat, there is absolutely no truth to their campaign. I am writing to you in regards to the distressingly bad situation in Spain regarding Catalonia. I find it very upsetting to see the oppression and sheer terrorism this country’s government is placing on its own Catalan people. It is unacceptable for a government to repeatedly deny the right of people to self-determination while decrying any attempt to express this right as ‘illegal’, barring those who pursue independence from running for public office and locking them up for 15-30 years. Think if this were happening in the United States! Would we jail people in California seeking #Calexit? Jail their rulers for sedition? The people of Catalonia held a non-binding referendum in 2014 (which passed with over 80%, although also labeled ‘illegal’ and with lower participation), then voted in a parliament with a majority of independence advocates in 2015, and voted again for independence in this latest referendum, with over 90% in favor of independence. Yes, the turnout was 43%, but what threshold would make everyone happy and the referendum ‘legitimate’? 50%? 60%? 70%? The Brexit referendum had registered turnout of 72%. Even if the registered turnout of the Catalan referendum had been 75%, and every single one of the extra votes had been valid and against independence, that would have brought the result to 51% for independence and 47% against, roughly the same result of the Brexit referendum. And the Catalan referendum result is despite violence and intimidating policing tactics trying to prevent the vote, which some suggest prevented anywhere from 5-15% of eligible voters from casting votes in favor of independence. Remember your own election and how the left has opposed your Presidency to the point of violence? This is no different except it is the government doing this to its own people. Simply put, Spain has become fascist and very much resembles pre-Nazi Germany when Hitler had the brown coats imprison and murder political opposition. Our own declaration of independence was taken by sheer violence, yet the Catalan people have tried to do this in a peaceful legal matter. In regards to Venezuela, the Inter-American Commission on Human Rights (IACHR) recently denounced Venezuela’s prohibition of public gatherings and suppression of journalism, calling on the State to adhere to its international human rights obligations. However, the same thing is happening in Spain as we speak. They are limiting internet access and any media regarding Catalonia is being censored. How can we, as a free country and a defender of democracy allow this to continue? Simply put we cannot. Madrid should have followed David Cameron’s example in allowing referendums and particularly in how the Scottish referendum was carried out (although I disagree with the determination of the eligible electorate). However, Madrid has repeatedly refused to grant the Catalans their universal right of self-determination which is enshrined in international law. The refusal to grant a referendum is itself illegal and in violation of multiple international conventions, including the United Nations Charter; the International Covenant on Civil and Political Rights; the International Covenant on Economic, Social and Cultural Rights; and the United Nations Universal Declaration of Human Rights, all of which were ratified decades ago. Please, I beg you as a concerned US citizen, help right this situation in Catalonia. Speak with President Rajoy and stop the oppression of these wonderful, peaceful people who only want freedom. Have you recently come across an Anonymous account on a social media outlet that seems bogus or seems to spread fake news? Beware! Anyone can call themselves that and be misleading! Carefully vet the account you are reading. They often spread fake propaganda and fake news hoping to mislead the general public. Of course, there are genuine Anonymous accounts but many are just average citizens looking for five minutes of fame or could even be an FBI or CIA agent. Recently, November 5th was declared the #MillionMaskMarch calling for people to march with their masks. If you choose to do so be careful as you do not know who you are dealing with. After all, they are wearing masks! Many are choosing to march to #FreeAssange and I am here to promote that as well. Wikileaks and Julian are constantly barraged with media smears and accusations of false documentation. However, when this is debunked, most resort to calling it “old news” and try to dismiss it. In 11 years of existence, they have never had to retract a single story or document as false because they vet everything they publish. They have won every court case challenging the information they release as well. No mainstream media source can truthfully claim the same thing. Isn’t it time we stood up for the truth and for real “anonymous” sources like those that leak to WikiLeaks?